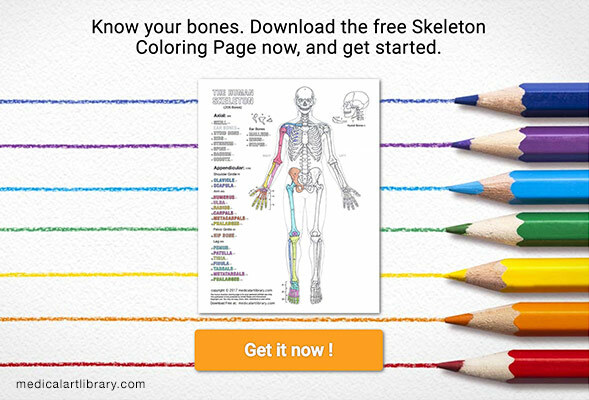 The sacrum is a large curved triangular bone situated like a wedge between the two hip bones. It is formed by the five fused sacral vertebrae. The transverse ridges represent the intervertebral discs of the immature sacrum which have become ossified and fused. The base of the sacrum articulates with the body of the fifth lumbar vertebrae as the lumbosacral joint. The superior articular facets articulate with the inferior facets of the fifth lumbar vertebrae. 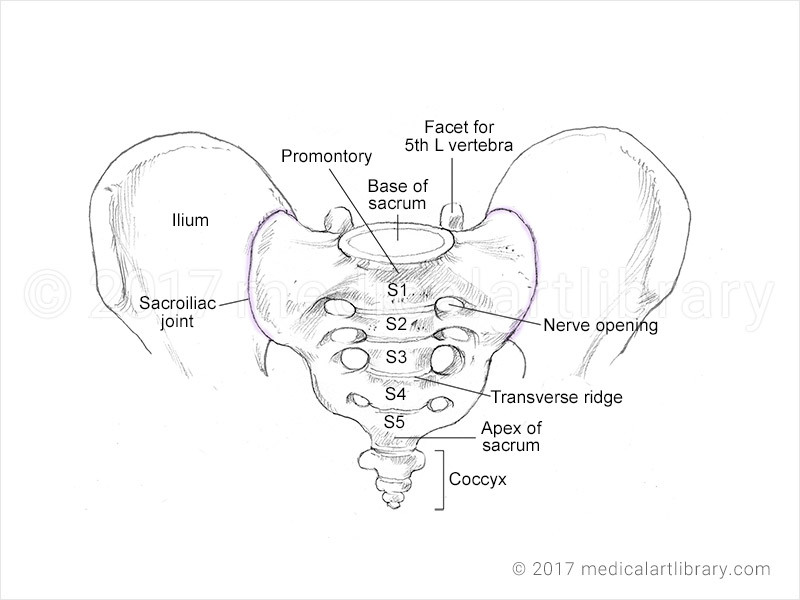 The promontory of the sacrum projects forward and helps to define the pelvic brim. The coccyx, formed by the (usually) fused four coccygeal vertebrae, articulates with the sacrum at it’s apex. 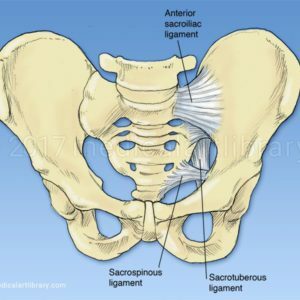 The sacrum joins the ilium at the sacroiliac joint.